Our two co-founders have a wealth of experience in telecommunications going back around two decades - you will notice from their photos they are both severely follicly challenged!! But don't worry, they are both very nice chaps really and are fully committed to ensuring an excellent customer-focussed ethos at Miso as the company develops and grows. Peter has a First in Electronic and Electrical Engineering from Birmingham University coupled with an MBA from Aston University. Before heading out on his own, he worked for companies such as Marconi, Touche Ross, and Nortel. He has been involved in telecommunications consulting since the early 1990s and has lived in Hungary for three years, Switzerland for 18 months and the Czech Republic for nine months on extended consulting assignments. His consulting assignments now cover a period of over 20 years, with much of his work focussed on regulatory cost models for fixed and mobile telecommunications networks, and he brings deep technical knowledge of telecommunications network engineering to his clients. Peter joined the BWCS team as an associate in 2001 and since then has led major programmes for the Danish National IT and Telecom Agency, Sweden's Post-och Telestyrelsen, Italy's AGCOM, ComReg in Ireland, and has been an advisor to Zain, a large mobile operator in Jordan. He is the author of Interconnect Costing, the leading handbook on cost modelling in telecommunications, now in its third edition and purchased by over 200 organisations worldwide. In 2003, Peter launched a Fixed Wireless Access broadband service in rural Gloucestershire and Herefordshire. The network now covers around a dozen small towns and villages across the two counties and has even expanded into a small amount of fibre-to-the-premises deployment to a couple of local, rural business parks. Finally, Peter is a fully paid up member of CAMRA (The Campaign for Real Ale) and enjoys nothing more than a visit to a local hostelry to sample the real ales on offer - or even better, a beer festival! 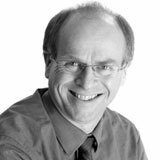 Graham is CEO and co-founder of BWCS and leads the Telecommunications and Transport Practices. Graham's psychology degree from Oxford University underpins his ability to build bridges between technologists and their customers, translating the needs and drivers of each to build business success. 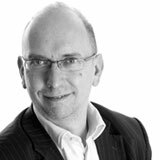 Graham's approach is grounded in international hands-on experience in telecoms in addition to his prolific international consultancy portfolio. Graham is visionary in his approach to looking at technology markets and developing new market concepts. His blend of creativity and technical insight has led him to develop innovative services which give his clients real strategic advantage. Recent projects include a successful 3G licence bid in Macau, ISP cost modelling for Ofcom, fibre access deployment strategy for Japan's NTT and marketing strategy for on-train Internet service for the international high speed train operator Thalys. His early career was with Logica and Nortel Asia-Pacific. Graham enjoys playing the drums and (get ready for this!) in May 2012 dipped his toes in the water as a stand-up comedian at the War on Want 2012 Comedy Gig.